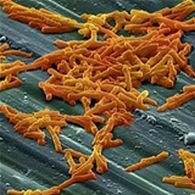 Selangor, Malaysia, Aug 6, 2014 - (ACN Newswire) - Probiotics have shown promise for treating patients with recurrent Clostridium difficile infections. However, their safety and quality control requires further study - especially in immunocompromised patients, concludes a review paper published in the Pertanika Journal of Science and Technology. The paper, by Y. Y. Loong and colleagues at the Universiti Putra Malysia, examines the epidemiology, immune responses, symptoms and diagnosis of C. difficile infections (CDI). It also discusses antibiotic susceptibility, CDI recurrences, probiotics and other alternative treatments. C. difficile is an opportunistic pathogen found in the intestines of approximately 3% of healthy adults and 40% of infants. The bacterium causes a spectrum of diseases in humans, ranging from mild to severe. Infection rates are particularly high in North America and European countries. Studies have shown that this bacterium is responsible for 10-25% of antibiotic-associated diarrhoea cases, 50-75% of antibiotic-associated colitis cases, and 90-100% of antibiotic-associated pseudomembranous colitis, respectively. The antibiotics metronidazole and vancomycin have been recommended as the treatments of choice for C. difficile infections since the 1990s. However, there is a high risk that CDI will recur after several days of antibiotic administration. Metronidazole-resistant C. difficile also needs to be considered during treatment. Thus, a re-evaluation of the use of metronidazole as the first-line treatment is needed in areas with high resistant rates, comment Y. Y. Loong and colleagues. Probiotics - beneficial microorganisms deliberately introduced into the body - have been used in some patients as an adjunct treatment with some success. However, a detailed investigation on the use of probiotics for infected patients is still needed to determine their real efficacy, recommend the authors. In addition, scientists need to explore new types of probiotics. "This will enable physicians to choose from a wider range of probiotics and develop a better combination to be used as adjunct treatments." Tel: +603 8947 2729; Mobile: +6016 285 2590.